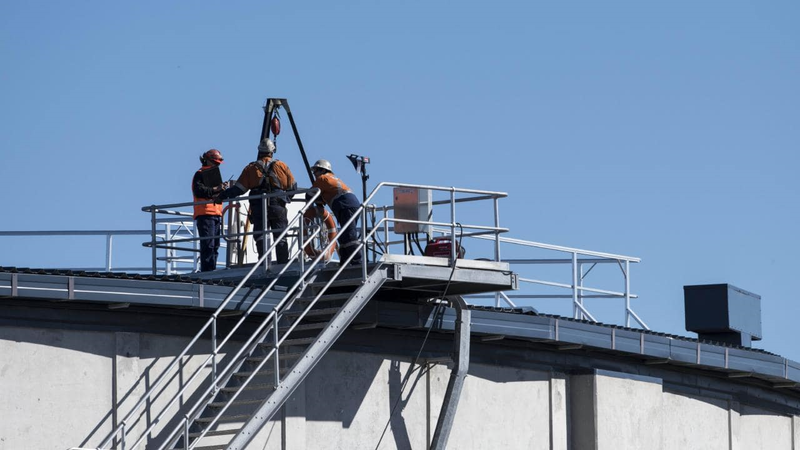 The plant’s maximum capacity is 250,000 m3/d but it will take months before it can operate at that rate, and three to four months before the plant begins contributing to Sydney’s water supply. Water restrictions could therefore be mandated for Sydney for the first time in nine years. EUROPE – The EU-funded Horizon 2020 project has demonstrated the economic viability of Wave2O—the world’s first wave-driven desalination system—which can supply large quantities of affordable fresh water while operating completely ‘off-grid’. Each Wave2O module consists of two wave energy converters (WECs) and two 20-foot containers, one housing equipment for electricity production, and the other, equipment for desalination. Flexible hoses connect the WECs and carry pressurized seawater to and from the WECs. The system’s recovery rate of approximately 35% results in low flux rates, which extends membrane life and lowers brine salinity. Each plant has a capacity of 4,000 m3/d, enough to supply 40,000 people and reduce CO2 emission by 4,346 tons per year. The Wave2O system is targeted at communities in developing countries and island nations that lack the resources to build and deploy grid-connected systems. Wave2O will initially be piloted in Cape Verde. BOTSWANA – The attorneys general of Namibia and Botswana have reportedly given clearance for preliminary paperwork for a joint desalination project at Swakopmund on Namibia’s Atlantic Coast. Ministers from Namibia and Botswana are expected to sign a Memorandum of Understanding early next year. A German-funded feasibility study is looking at whether the project should involve buying an existing desalination plant or opt for building a new one. The project faces major challenges as it involves building a 1,400 kilometer pipeline across the Namib and Kalahari deserts. A feasibility study is expected to be completed within the next 18 to 24 months. 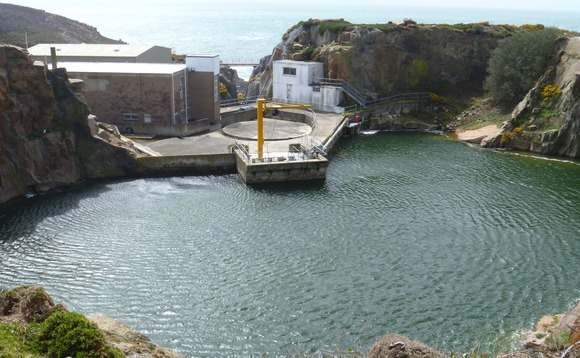 U.K. – Jersey Water is preparing the La Rosiere desalination plant for activation for the first time in seven years. A dry autumn and summer in Jersey has resulted in the island’s reservoirs to be only 46% full compared to 71% last year. The water utility supplies 38,000 homes and business across the island. TURKMENISTAN – Several German companies have recently expressed interest in developing desalination projects in Turkmenistan. A business forum is scheduled in Berlin in February 2019, and the management of the board of the Eastern Committee of the German Economy is expected to visit Turkmenistan in March. German companies such as Siemens, Daimler, Claas, Rohde&Schwarz, and Dresser-Rand are already involved in large-scale, long-term projects in in the Central Asian country. As of 2016, there were 167 investment projects involving German capital worth $540 million. Elias Visontay “Falling dams trigger Sydney desalination plant”, theaustralian.com.au, Nov 26, 2018. <https://www.theaustralian.com.au/national-affairs/climate/falling-dams-trigger-sydney-desalination-plant/news-story/33daa10c121e8cf1b8ecac384f4062e5?nk=69c1a643e22425d0d3530acde9be34f3-1543244238> accessed Nov 26, 2018. “Wave Power for clean drinking water”, cordis.europa.eu, Nov 26, 2018. <https://cordis.europa.eu/result/rcn/241187_en.html> accessed Nov 26, 2018. Mbongeni Mguni “Pulling the Atlantic Ocean to Gaborone”, mmegi.bw, Nov 23, 2018. <http://www.mmegi.bw/index.php?aid=78546&dir=2018/november/23> accessed Nov 26, 2018. “Jersey desalination plant set to work again after seven years”, bbc.co.uk, Nov 24, 2018. <https://www.bbc.co.uk/news/world-europe-jersey-46329060> accessed Nov 26, 2018. “Germany ready to take part in Turkmenistan’s seawater desalination projects”, azernews.az, Nov 21, 2018. <https://www.azernews.az/region/141292.html> accessed Nov 26, 2018.